The placenta, an organ containing many blood vessels, connects the umbilical cord of a fetus with the uterine wall, allowing nutrients to pass from mother to baby. This umbilical cord is a reservoir of 2 different sources of stem cells namely, Hematopoietic Stem Cells (HSCs) and Mesenchymal Stem Cells (MSCs). With the joint efforts of the cell biologists and medical physicians, the use of cord blood derived stem cells is being investigated in more than 100 critical conditions. Hematopoietic Stem Cells (HSCs) are the source of committed progenitor cells available throughout the lifetime of an individual. They differentiate and proliferate to generate large numbers of mature blood cells of all lineages. Distinguishing factor for cord blood HSCs from the bone marrow is its young biological age and higher proliferative capacity. Upon successful birth of the child, the umbilical cord is clamped and cord blood is collected into a blood bag. 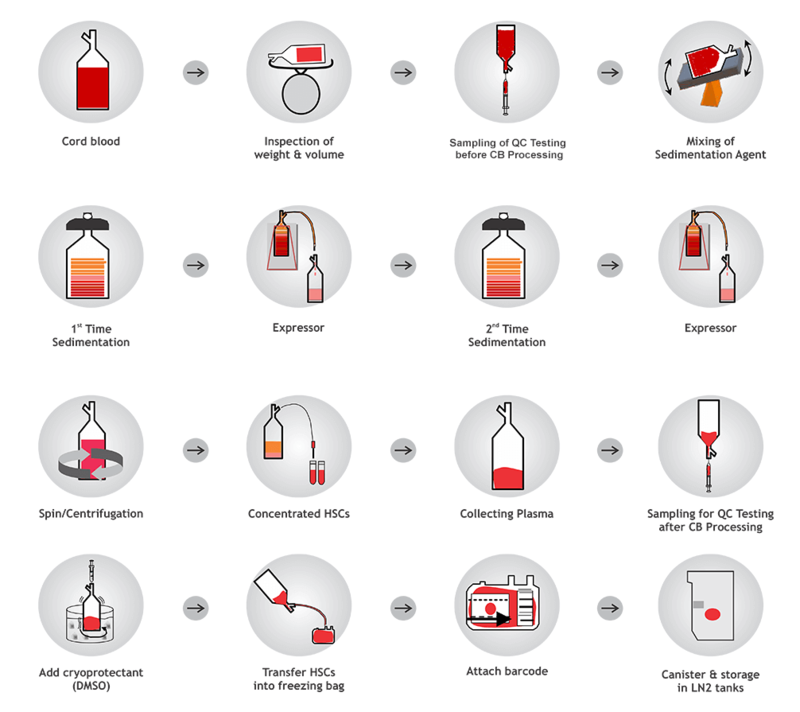 The cord blood is then sent to the GMP certified cell processing and preservation facility where the HSCs are extracted through a patented technology, examined and analyzed before long term cryopreservation in liquid nitrogen storage system. 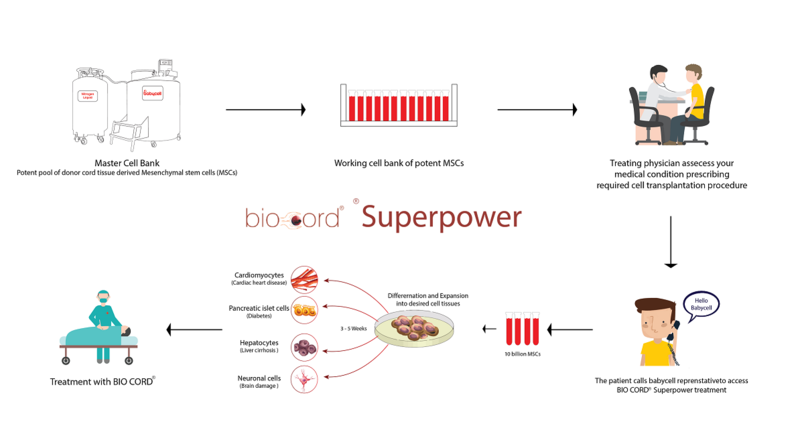 Biocell uses "Double Sedimentation Spin (DSS) technology"
Since 2015, RMS has been working on product development from cord tissue derived mesenchymal stem cells to make it available as a stem cell product. RMS technology differentiated the main mesenchymal cells into various cells like - neuronal cells, cardiomyocytes, pancreatic islet cells, hepatocytes which can be used for cell therapy treatment. It gives you an unlimited and anytime access to a potent pool of cord tissue stem cells to treat a host of diseases. This program lets you avail a tailor made cell therapeutic product for various medical diseases as per your treatment, physician’s assessment and prescription.